North America's Favorite Protein Bar leads the charge in Quest's mission to end metabolic disease. Every delicious Quest Bar flavor has 20-21 grams of protein and plenty of fiber without a lot of unnecessary ingredients or extra carbs. 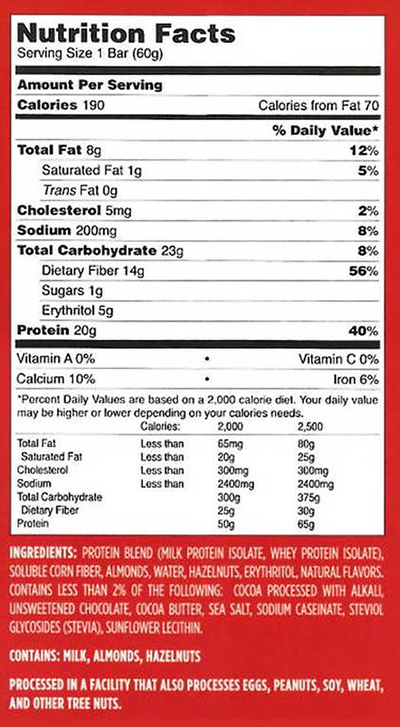 All Quest Bars are gluten and soy free, and contain no added sugar. 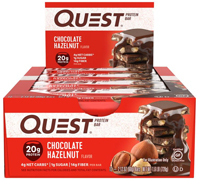 Quest Bars are helping us inspire a global #CheatClean revolution, re-framing the conversation around nutrition. This is the bar that promises food can taste as good as it is good for you. With Quest Bars, you can eat toward your goals and love every bite along the way.